While the euphoria of the election of Rt. Jon Emeka Ihedioha as the governor-elect of Imo State is yet to die down, the attention of the good people of Imo is gradually shifting to the team the governor-elect will put in place to tackle the numerous challenges he will confront immediately after he is sworn in on May, 29, 2019. 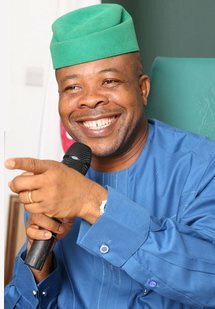 It will only amount to an understatement to submit that Ihedioha has an unenviable task lined up for him. In the last eight years, the state of Imo is anything but desirable. From education to agriculture, health and social amenities to infrastructural development, the challenge is daunting. Morale of the civil servants in the state is at its lowest ebb while pensioners are dying in their droves for no reason other than non-payment of their pensions at the end of the month. At the last count, pensioners in the state are owed over 60 months arrears. Thus, the governor-elect has a huge and unenviable task lined up for him. All eyes are on him to change the narrative in the state. It on this note that the governor-elect should put in place a solid team that will help him to restore the lost glory of the state. It therefore behoves on Ihedioha to assemble men and women who not only has the capacity and capability to deliver on given tasks, but also are willing to go the extra mile to help recover Imo State from the years of locust. It is heart warming that such calibre of men and women are not in short supply in the state. By this availability of such men and women, the governor-elect need not go to the moon to shop for people that will help pilot the affairs of the state. Thus, a personality like Professor Jude Ejike Njoku readily comes to mind. Njoku, currently a Professor of Agricultural Economics and former Vice-Chancellor of the Federal University of Technology, Owerri (FUTO) has all it takes to help the governor-elect midwife the smooth takeoff of his administration. Professor Njoku holds a Bachelors degree in Agricultural Economics (1976) from the University of Nigeria, Nsukka, and M.Sc (Agricultural Economics) (1981) from Ahmadu Bello University, Zaria, and a Ph.D (Agricultural Economics) (1989) also from the University of Nigeria, Nsukka. He began his academic career at Ahmadu Bello University Zaria in 1977, and later transferred his services to the Federal University of Technology, Owerri in 1983. Professor Njoku has about 40 years of teaching, research and public service experience at the University and State levels. About 24 of these years were spent on University and Public Service administration. He was Head, Department of Agricultural Economics (1990-92); Dean of Students’ Affairs (1992-97); Deputy Vice-Chancellor (Administration) (1997-2000); Vice-Chancellor, Federal University of Technology, Owerri, (2000-2005). Soon after this, he had the privilege of serving as Hon. Commissioner for Lands, Survey and Urban Planning (2007-2009), and the Hon. Commissioner for Education (2009-2011) in Imo State. Thus, Prof. Njoku has vast administrative experience both in the University system and in Government. Professor Njoku is very widely published in both National and International books and journals. He has produced hundreds of undergraduate and postgraduate students, most of whom are holding national and international appointments in industry, public service and academia. He has also served as external examiner at the undergraduate and postgraduate levels in several Universities in Nigeria and beyond. Professor Njoku has served as Consultant to several National and International Organizations, including the World Bank, the Nigerian Federal Government, the Food and Agriculture Organization (FAO) of the United Nations, the United States Agency for International Development (USAID); USAID MARKETS, the Appropriate Technology International of the United States, the Senate Committee on Education and the Federal Ministry of Agriculture and Rural Development. In recent years, he has served as member of Presidential Task Team on Education; Chairman, Presidential Visitation Panel to Federal College of Education, Zaria, Chairman, 2012 Visitation Panel to Cross River University of Technology, Calabar, Cross River State, (CRUTECH) and Chairman, Institutional Accreditation Panel for both the Federal University of Technology, Minna and the Kogi State University, Ayamgba, Kogi State. Prof Njoku is a member of several National and International Organizations including the Nigerian Association of Agricultural Economists, the Nigerian Economic Society, the Agricultural society of Nigeria, the International Association for Research on Plantain and Cooking Bananas, Nigerian Institute of Management (Chartered), Common Wealth Association and Nigerian Institute of Manpower Development and Industrial Relations, Rotary Club of Owerri and a member of Owerri Club. He is recipient of several National and International Awards. He is a Papal Medallion and was awarded Best Vice-Chancellor of Nigerian Universities in 2004. Prof. Njoku is a Fellow of the Nigerian Association of Agricultural Economists (FNAAE); Fellow of Association of Business Educators of Nigeria (FABEN); Fellow Nigerian Institute of Manpower Development and Industrial Relations (FNMD); Fellow Nigerian Library Association (FNLA) and Fellow, Nigerian Institute of Management (Chartered). He is also a Paul Harris Fellow of the Rotary Club of Aladinma, Owerri. He is a Knight of St. Mulumba (KSM) and holds a High Chieftaincy Tittle of UGONMUTA of Ngor-Okpala. He is very happily married to Dr. (Mrs.) Celestina Ugochi Njoku, current Rector, Federal Polytechnic, Nekede, Owerri, and the marriage is blessed with four lovely children (two girls and two boys). He is devout Christian and ardent believer in destiny, who places absolute faith in God.